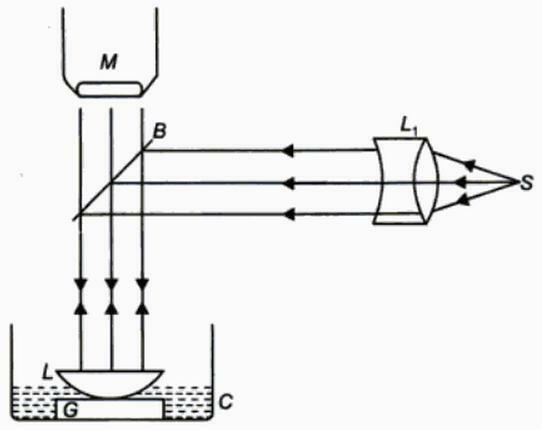 Find the refractive index of given liquid. 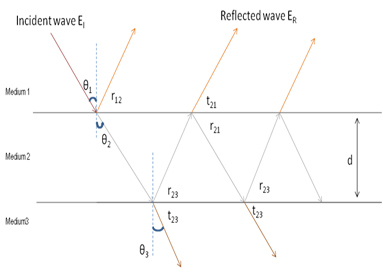 The experiment is performed when there is an air film between the plano-convex lens and the optically plane glass plate.The diametre of the mth and the (m+p)th dark rings are determined with the help of a travelling microscope. As shown in figure arrange the lens with glass plate. Pour one or two drops of liquid whose refractive index is to be determined without disturbing the arrangement. Now the air film between the lens and glass plate is replaced by the liquid. The diameters of m+pth and mth rings are determined.